Editorial Calendar For WordPress | Brand On! If you want to improve your blogging performance, you’ll likely need an editorial calendar. This will help you and your team plan ahead, stay focused and keep track of articles from idea to final publication. 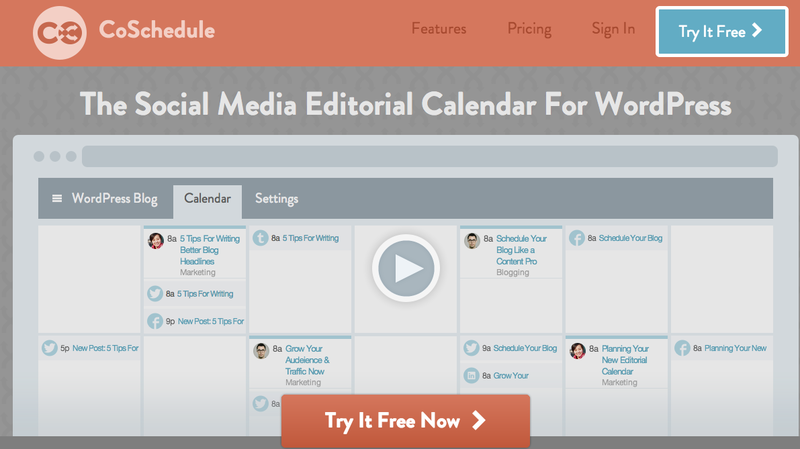 CoSchedule is a editorial calendar for WordPress. With it, you can schedule posts and easily drag and drop them around on the calendar. What’s neat is you can also schedule social posts within WordPress, so you don’t have to sweat those details later when posts go live.